Ethiopian official Tedros Adhanom Gheybreysus has been elected director-general of the World Health Organization. Tedros won the post in two rounds of balloting Tuesday, defeating Dr. David Nabarro of Britain and Dr. Sania Nishtar, a Pakistani cardiologist. The vote by 185 member states took place by secret ballot after the candidates made last minute pitches. The candidates have been campaigning for this fiercely contested post for the past year-and-a-half. 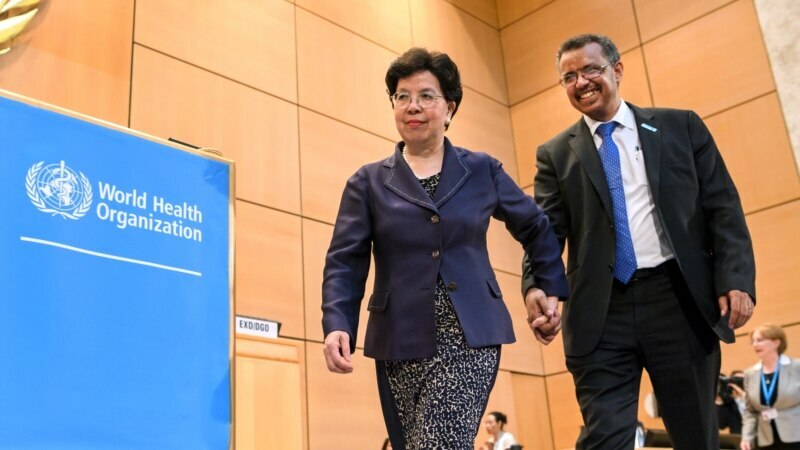 As they approached the final stretch, each in turn presented his or her most persuasive arguments for becoming the new director-general of the World Health Organization.